Gynecologists focus on treating women’s health issues and are a vital part of your medical care team. Since you will be discussing intimate medical issues with your gynecologist, it is important to choose a reliable and trusted medical professional. When choosing a new gynecologist, here are some questions to ask. One of the most basic questions to ask your new gynecologist is if his or her office accepts your insurance. You may deal with a variety of women’s health issues over the course of your lifetime and may require unexpected treatments. It is important to verify if your insurance covers all of the medical services your gynecologist provides. Gynecologists work with hospitals and health centers for medical care treatments that cannot be done in their own offices. It is important to find out which hospitals your new gynecologist is affiliated with because you have to consider the reputation of these hospitals and your proximity to them in case you ever need to be treated there. How easy is it to get an appointment with you? If you are healthy and don’t plan on having children anytime soon, this may not seem important. However, the time to choose a dependable and high-quality gynecologist is before you get pregnant. Flexibility and ease of getting appointments will be very important if you decide to expand your family, because you will need to see your gynecologist much more frequently then. What are your after-hour policies? It is important to understand how to get in touch with your gynecologist after hours in cases of emergencies. First-time expecting mothers or women with gynecological conditions may have questions or concerns that happen while the office is closed. Verify with your gynecologist how you will be able to access medical advice in such situations. Are you also a certified obstetrician? Gynecologists treat a wide range of women’s health issues, while obstetricians focus on monitoring and treating expecting mothers’ health issues. 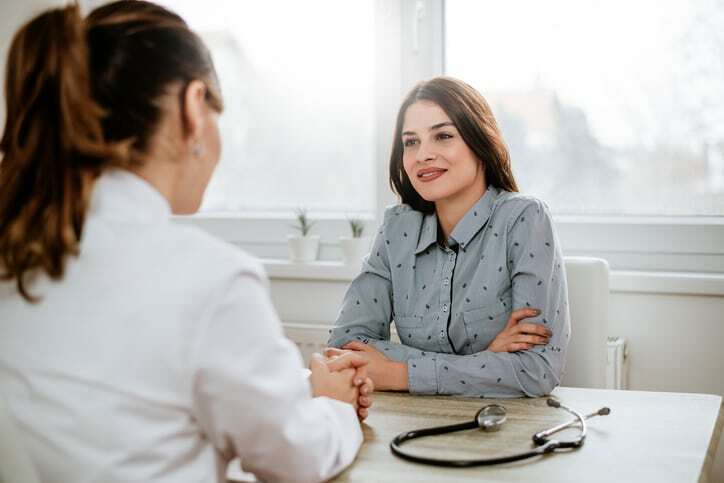 While it is perfectly acceptable to have a separate gynecologist and obstetrician in your medical care team, it can be a straightforward transition to have one trusted medical professional focus on both of these needs. Are you board certified by the American Board of Obstetrics and Gynecology? The American Board of Obstetrics and Gynecology is an independent and non-profit organization that certifies gynecologists and obstetricians. This certification ensures your new gynecologist follows high professional standards set by an organization led by leading professionals in the field. Like in any field, the more experience a professional has, the better they are at their job. Ask your gynecologist how many years of experience they have as well as the variety of women’s health issues they have experience working with. Do you have experience with high-risk pregnancies or conditions such as PCOS and endometriosis? Many complications can happen during pregnancy that are unexpected and difficult to deal with. It is crucial that you work with a gynecologist who has experience treating a variety of gynecological conditions and handling high-risk pregnancies so you know you are in the right hands with your medical needs. What is your view on different forms of birth control? Talk to your gynecologist about what forms of birth control they prescribe. Understand your gynecologist’s approach to prescribing birth control so that you can ensure your needs and wants are met. How do you accommodate patients’ birth plan preferences? Soon-to-be mothers may choose to give birth with or without pain medication or have specific preferences on how they want to give birth. Ask your doctor if she will be comfortable accommodating your plans. Expecting mothers should be allowed to experience pregnancy and give birth the way they want. It is important to understand if your gynecologist will be flexible and accommodating when working with a midwife or doula if you prefer to have one by your side when giving birth. Finding a gynecologist that you are comfortable with who shares similar views will make it easier for you to discuss your intimate issues. Asking these questions will help you understand if your new gynecologist is right for you. If you are looking for a trusted and reliable obstetrician and gynecologist, call (954) 538-1700 to make an appointment with Dr. Ladynez Espinal at Lady’s Care Center.